Lucy is an Associate within our Agriculture Team dealing with a variety of Agriculture matters including Agricultural tenancies, rights of way and farm acquisitions. 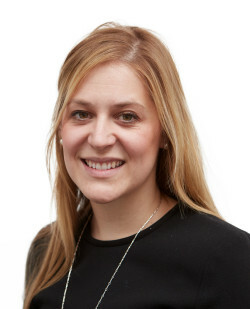 Lucy initially read English at Queens Mary University before doing her Graduate Diploma in Law at the University of East Anglia and Legal Practice Course at the University of West England. Lucy Chambers joins Leathes Prior in February 2019 to boost the Agricultural offering. Lucy has spent the last 3 years at Mills & Reeve in the commercial property team where she dealt with freehold acquisitions and disposals, landlord and tenant issues, commercial development, commercial leases and investment property. She heads up the Agricultural Team advising on matters such as farm business tenancies, applications for first registrations of farm land, and the sale of land for development. Lucy also works closely with our other lawyers in the Commercial Property, Private Client, Dispute Resolution and Employment teams. Lucy is also a member of the Agricultural Law Association. When not at work, Lucy loves being outside with her dairy farmer fiancé and their two labradors and cocker spaniel.